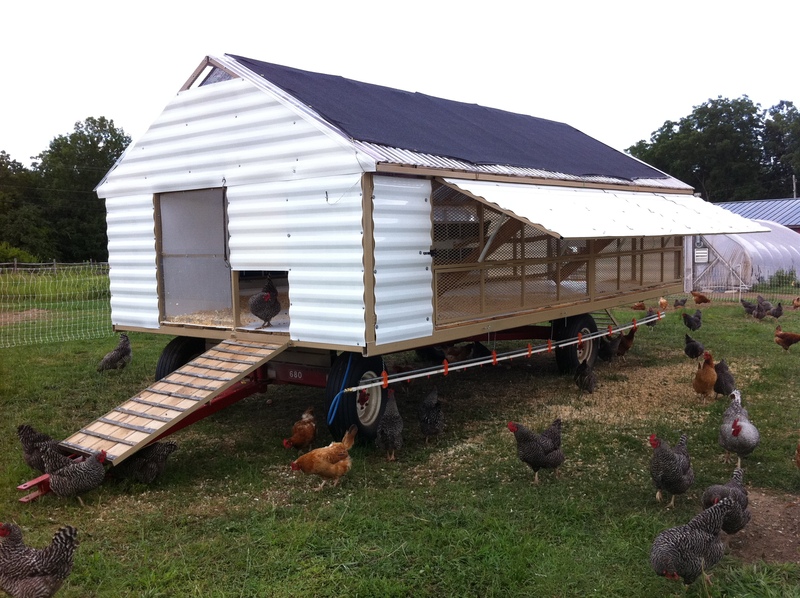 We started building this mobile chicken house back in March. With the help of welder Sean Azarowski and carpenter Frank DeGennaro it is finally finished! The layers are slowly getting accustomed to the new digs. When we moved them in last week, many of them jumped the fence to return to their old laying house in the greenhouse (in the background of the photo above). Watching a grown man trying to catch an escaped chicken is a lot of fun. But that show will soon be over. We plan to launch the mobile house this week and move it down to the lower fields—out of sight of the old house. What are the dimensions of this awesome coop? 20 x 10. Since that we have built a newer version, that will soon be unveiled in one of our future blog posts.